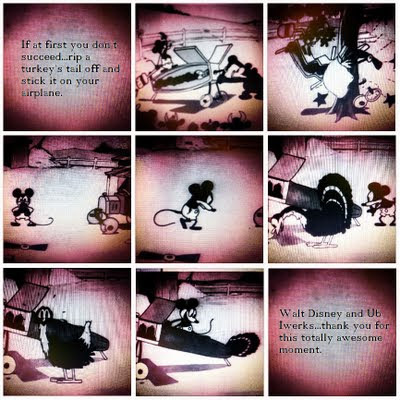 Disney Hipster Blog: Animation Appreciation: Plane Crazy. This is great for a few reasons. First of all, the turkeys tail just snaps right off. Secondly, I'm pretty sure that turkeys aren't the best at flying. It would make more sense to use a condor tail or something. They are in California after all. ﻿And just for good measure...the original 1928 cartoon. 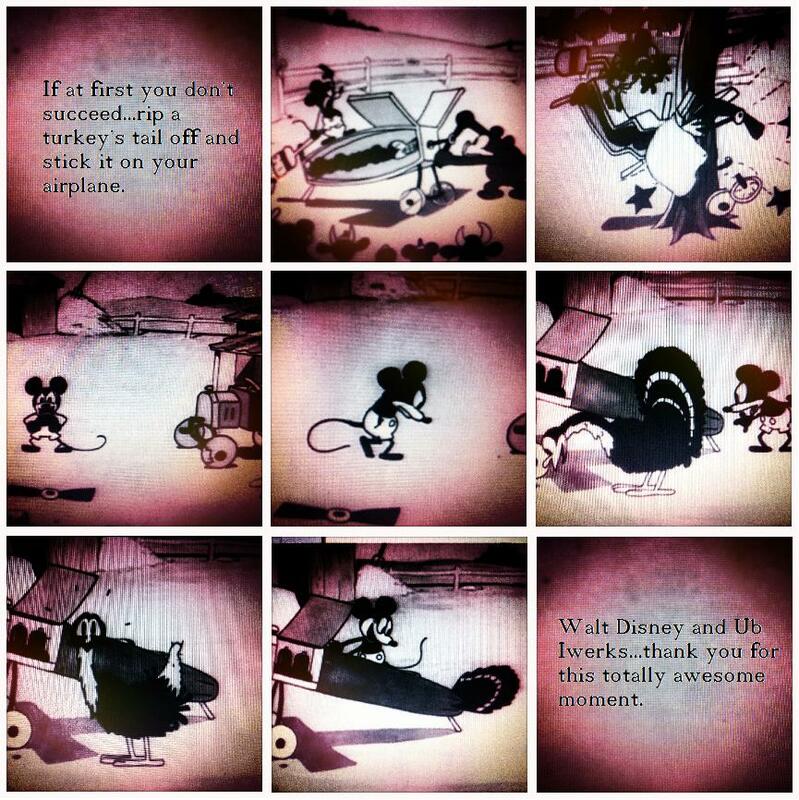 For the few of you that don't know this is the first Mickey Mouse cartoon. It also features Minnie Mouse and an early version of Clarabelle Cow, while most of the others didn't show up for a few years. Another great gag features Mickey ruffling his hair to look more like Charles Lindbergh. This is really swell. Take six minutes out of your day for this. Mickey needs to learn that no means no!! !